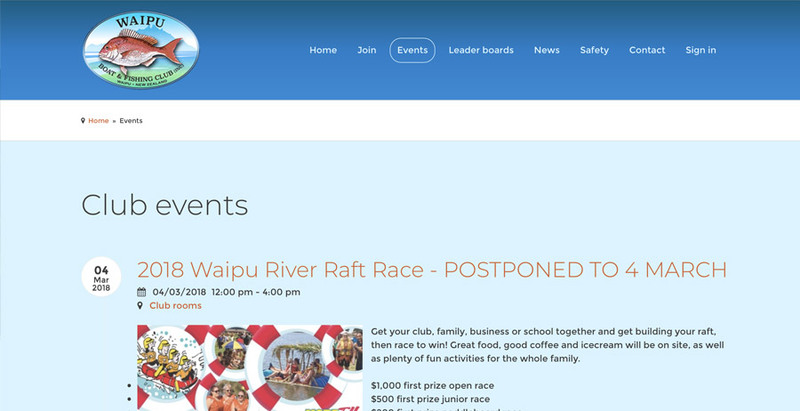 The Waipu boat and fishing club needed to take control of their site and make it really work for them. Making it easy for new members to join and existing members to renew as well as selling tickets to events were super important, as well as gaining a whole lot of visibility. We built a website that highlights the benefits of joining the club and lets people join here and now, paying online with their credit card or by bank deposit. Membership and renewals have been completely automated, making it easy to renew subs at the right time and sending informative notifications at every step of the process.